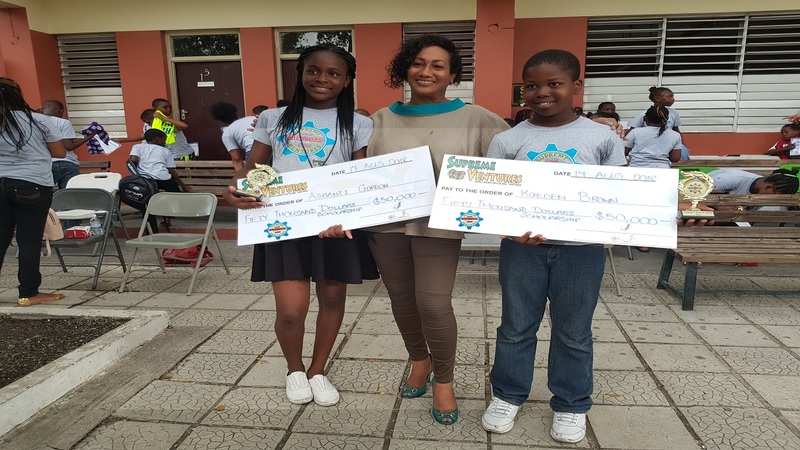 Top Boy and Girl, Kaeden Brown and Ashanti Gordon, receive their scholarship awards from Supreme Ventures Chief Marketing Officer, Heather Goldson during the prize giving ceremony. 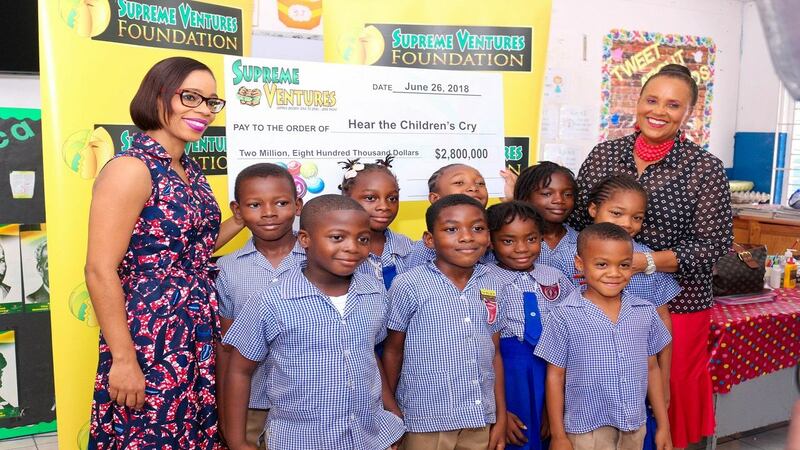 Two youngsters walked away from the first week of the Supreme Ventures Junior Creators Camp with scholarships valued at $50,000 each, while some 40 others finished the week strong, receiving items and gift vouchers from Sangster’s Book Store to assist them with their back to school expenses. 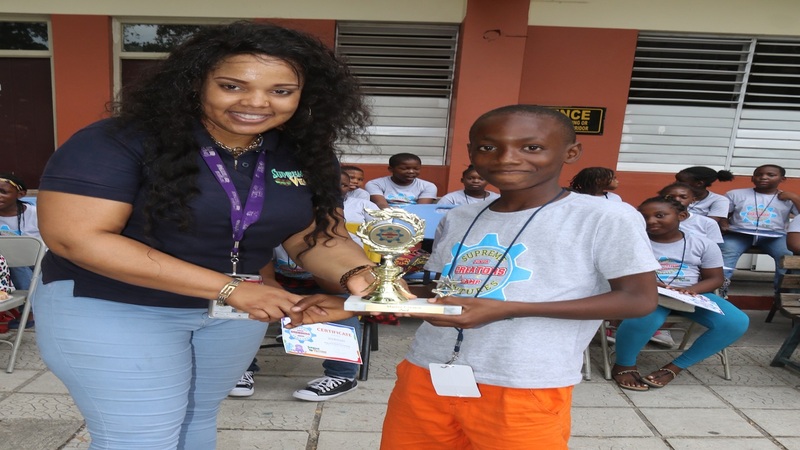 The children have completed a week of exploration and hands on practice into the world of Robotics Engineering taught by Marvin Hall and the Halls of Learning Team, as well as self-development classes taught by Rise Life Management. Alex McIntosh got his Master Creator Ward from Aunty Kerry-Ann (Major), Supreme Ventures Senior Draw Officer. Participants had the opportunity to engage with the latest gadgets, including robots, and also got the opportunity to learn how to code and programme the cutting edge technology. “We were delighted to see how engaged and excited our Campers were. And we were even more delighted to reward them for their hard work and discipline in grasping the concepts they were taught. 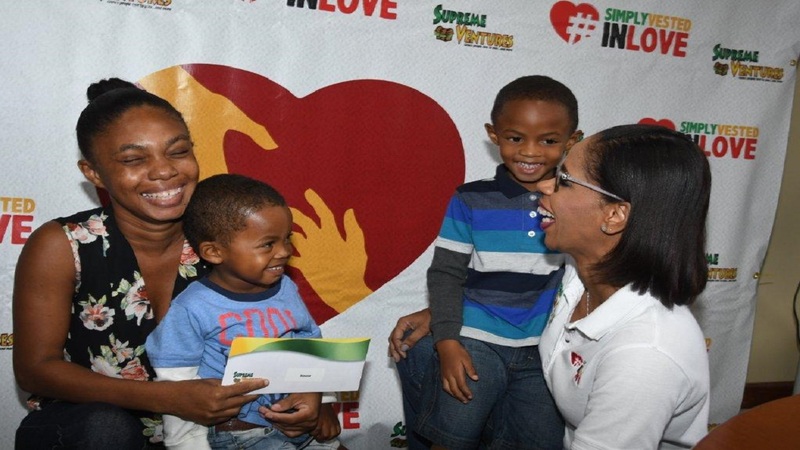 The self-development aspect, which we did for the first time this year was a wonderful addition, and the children enjoyed it so very much,” said SVL AVP Group Corporate Communication, Simone Clarke-Cooper. 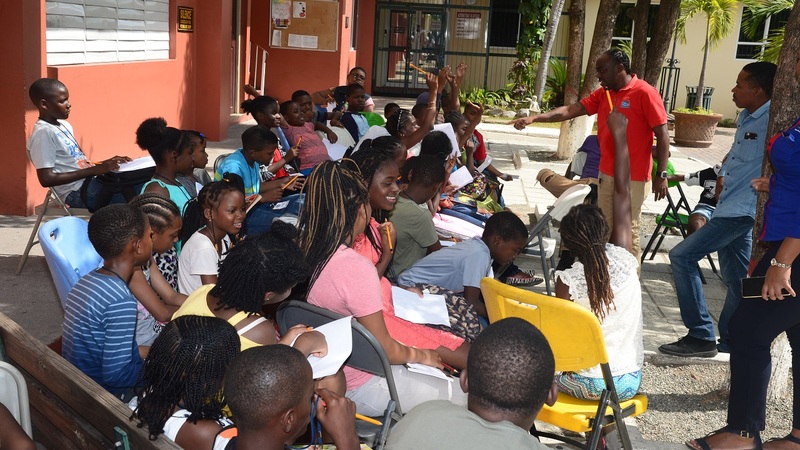 Youth Development Officers from RISE Life Management Services engage the children at the camp. A team from Rise Life was invited to speak with the campers about self-esteem and self-worth. The $50,000 scholarship awards, a new addition to the camp, were given to the camp’s overall top performing and most disciplined girl and boy. Other awards were given for Master Creator, Growth, Most Disciplined and MVP. The top boy and girl were Kaeden Brown and Ashanti Gordon, respectively. MVPs were Nasia Brooks ad Kaeden Brown. Kyle Brown and Renee Benjamin were top boy and girl for the Growth Award, and the Most Disciplined Camper was Liah Davis, while Ashanti Gordon was named Master Creator. The Supreme Ventures Junior Creators Camp is now into its final week with another cohort of students, aged 8 to 11 years old. 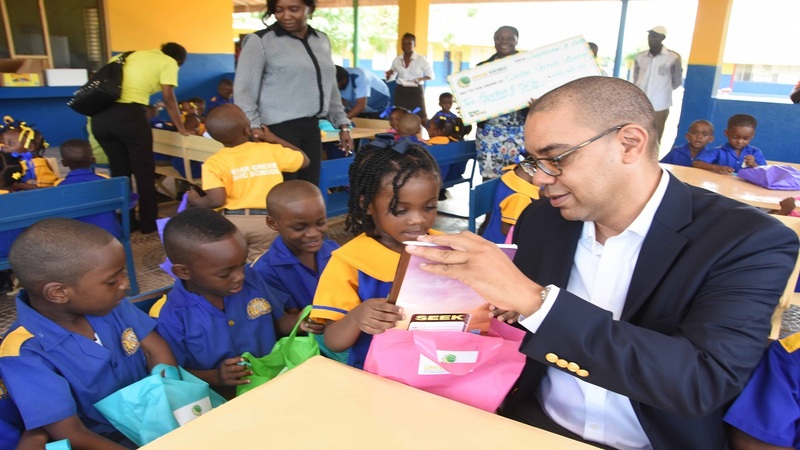 The participating schools are St. George's Girls' Primary & Infant, St Aloysius Primary, New Providence Primary, Mountain View Primary, Rousseau Primary, Holy Rosary and Swallowfield Primary.